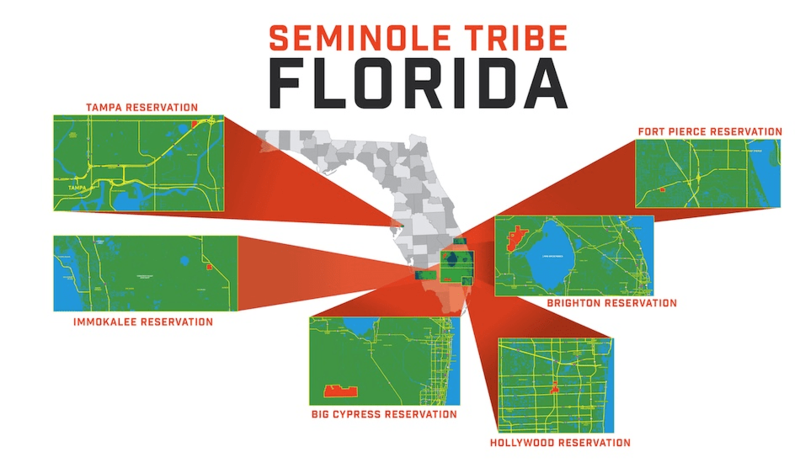 The Seminole Tribe of Florida is headquartered in Hollywood, Florida and is comprised of 6 reservations that encompass approximately 90,000 acres. The Tribe has a current enrollment of approximately 4,100 members. It’s governed by a democratically elected Tribal Council and Board of Directors. The constitution of the Seminole Tribe of Florida establishes a government consisting of a five member council and a five member board. 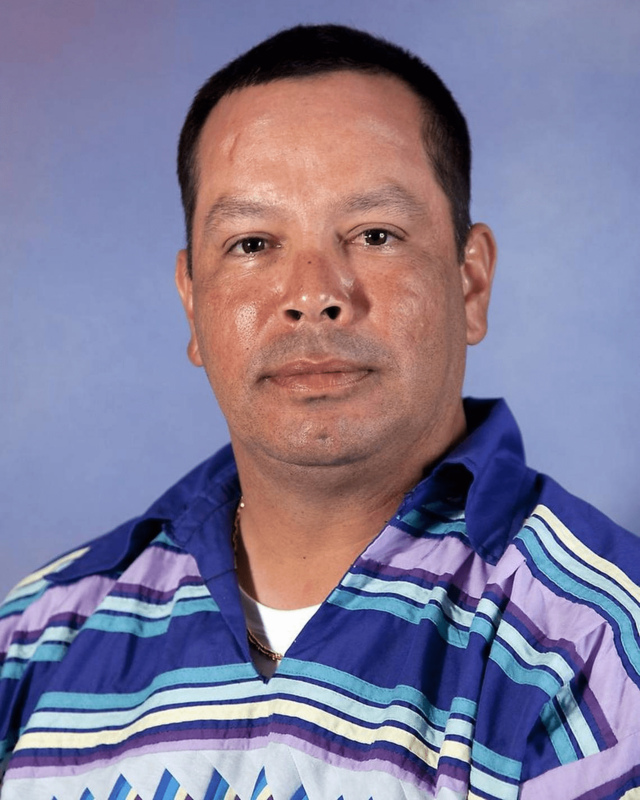 One member is elected from each of the Hollywood, Big Cypress and Brighton reservations to serve as representatives on either Council or Board. A chairman for council and president of the board are elected at large and each serves as vice-president and vice-chairman respectively. The terms of office for the chairman and president are four years, with the representatives being elected for two-year terms. The Council governs tribal lands and is empowered to enact ordinances, resolutions, budgets, and negotiate with state and federal officials. The jurisdiction of the Board includes business-type activities not specifically overseen by the Council. The council operates six casinos in central and south Florida and owns a globally recognized entertainment and leisure brand. 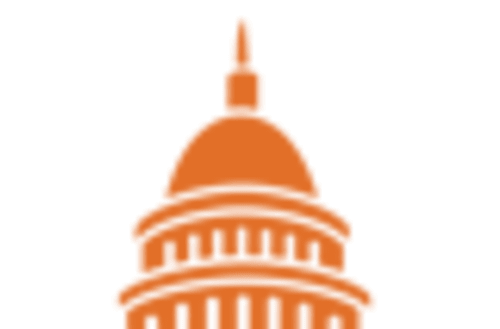 The board oversees business-type activities that include smoke shops, gas station/convenience stores, a cigarette wholesale distributor, fuel supplier, cattle, agriculture, land use, construction, restaurant, and tourism activities. Seminole Gaming Operations consist of 6 Casinos in Florida. They provide food and beverage, bingo, poker, paper pull-tabs, slot machines, and certain permitted Class III table games that are played with cards. In addition, they also provide hotel accommodations, entertainment, retail shopping, valet, and spa services. Seminole HR Holdings, LLCis an entertainment company which is wholly-owned by the Tribe. It owns and operates Hard Rock cafes, café franchise, Hotels and Casino licensees with locations throughout the world. The company also has investments in joint ventures that operate and franchise NYY Steak branded steakhouses located in the United States. Seminole Pride Beef is a cow-calf producer that oversees five operations that encompass more than 12,000 heads of cattle on over 38,000 acres. In 2015 the company was ranked in the top 10 nationally and fourth in the state for cow-calf production by the National Cattlemen's Beef Association. The Seminole people originate from the southeastern portion of North America and are descendants of Maskókî peoples that lived throughout this area. Indigenous groups in Florida first encountered Europeans with the arrival of the Spanish in the sixteenth century. The introduction of European pathogens quickly decimated the population. By the early nineteenth century the Florida peninsula was coveted by a young U.S. government. During the subsequent violent removal of Seminoles to present-day Oklahoma, tribal members, led by the powerful medicine man Abiaki, retreated into the Everglades to continue fighting against U.S. colonization. During the war thousands of Seminoles were deported and many more died in battle or along the route to the west. By the mid-nineteenth century, military hostilities ended between the U.S. and the Seminole, though a formal peace treaty was never signed. The Florida Seminole continued to inhabit their homeland and organized as a formal government in the mid-twentieth century due to the threat of termination of services from the U.S. government. The Tribe ratified a constitution in 1957 and appointed a democratically elected Tribal Council. Today citizens of the Tribe maintain their languages, culture and traditions whilst looking proudly toward the future.